How do you access electronic books? 1. You access Grafton's electronic books through the Library Catalog. If your search results, say "eBook" under the author (see image below), than you have an eBook on your hands. Access the electronic book by clicking on the View online link (see above image). Note: some books have links and aren't electronic books. You know your book is an electronic book when you can access it through the View online link. If you can't, check the Availability tab for more information. 2. To download electronic books to your computer, Ipad, Iphone, or Nook, see Can I Download an E-book to Read Offline? or scroll down the page. To read the book online, click the link that says "ebook Full Text"
3. Some titles allow for simultaneous multiple user access while others only allow a single reader at a time. Make sure you close your browser window when you are finished reading the book. You can also download the book to your computer, so you can access it as much as you'd like during the loan period. Can I download an e-book to read offline? Create an Adobe Online ID. Create an EBSCOhost account if you don't already have one. Select Sign In and follow the directions. Open Adobe Digital Editions and authorize it with your ID from Step 1. Search the library catalog for the book you want to download. Click on the long URL (it may be under the Title Info tab) to access the ebook. If you are off-campus you'll be prompted to enter your MBC username and ID. Click on the "Download This eBook (Offline)" link. You will be prompted to enter the EBSCOhost credentials from Step 2. Select "Open with...Adobe Digital Editions". Download the Bluefire Reader app from the app store. Open the Bluefire Reader app on your iPad/iPhone and authorize it by entering the Adobe Online ID you created in Step 1 (you should be prompted to authorize automatically). From your ipad/iPhone, visit the library catalog and find the e-book you want to download. If you are off-campus you'll be prompted to enter your MBC username and ID. Click on the "Download This eBook (Offline)" link. You will be prompted to enter the EBSCOhost username and password from Step 4. A new screen will pop up with the Bluefire Reader logo. Click on the "Open in 'Bluefire' button'. 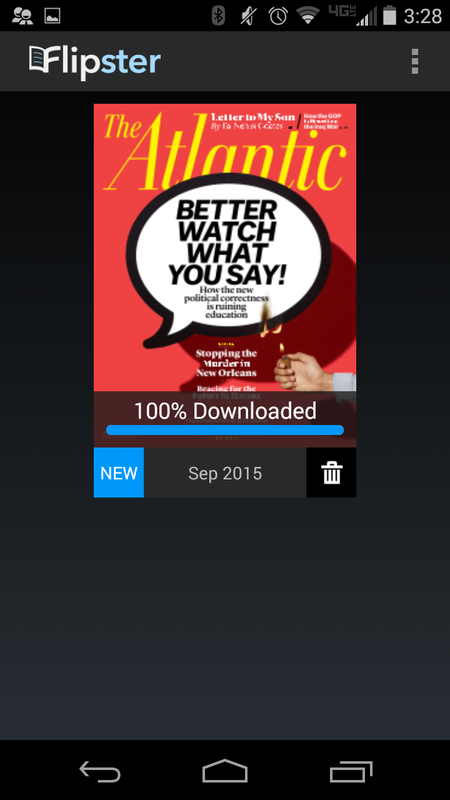 This will automatically begin the downloading the eBook into the Bluefire Reader app. Click on the "Download This eBook (Offline)" link. You will be prompted to enter the EBSCOhost username and password from Step 3. You will be prompted to save the book to Adobe Digital Editions. Connect your Nook to the computer through its USB cable. You should see the Nook appear in Adobe Digital Editions (on the left side, in the listing of bookshelves, underneath all items/borrowed/purchased/recently read). Drag the book to the Nook. 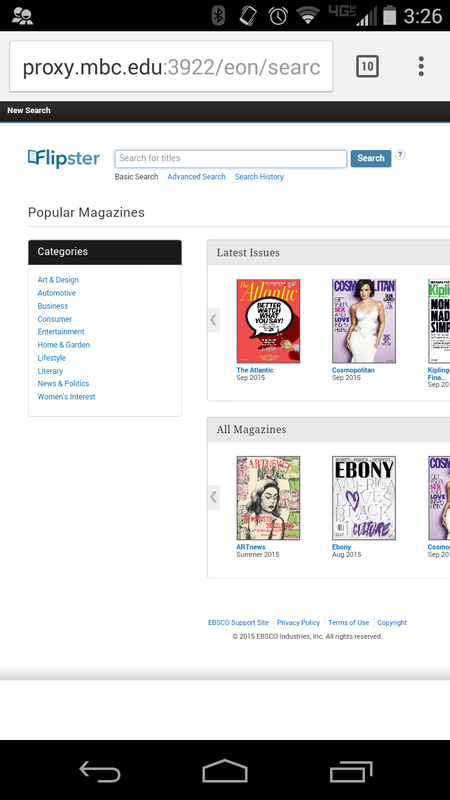 You can get instant access to popular magazines through Grafton library with Flipster. 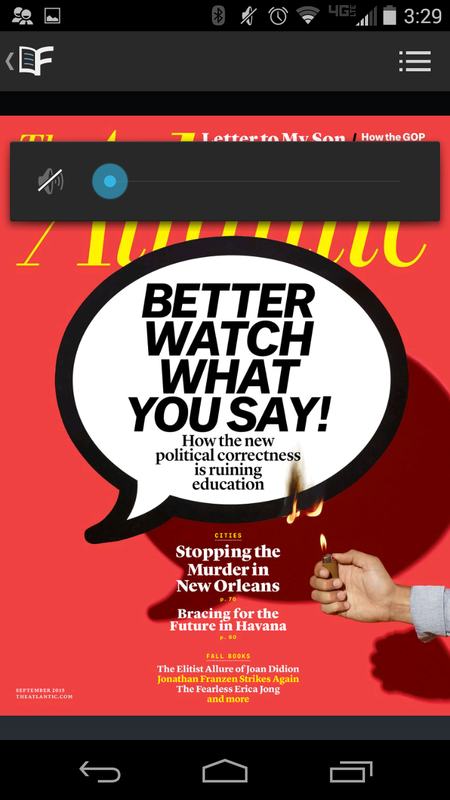 You can choose to read magazines in your browser on your desktop, or open them in the Flipster app for Andriod, Apple and Kindle Fire devices to read your favorite magazines on the go. 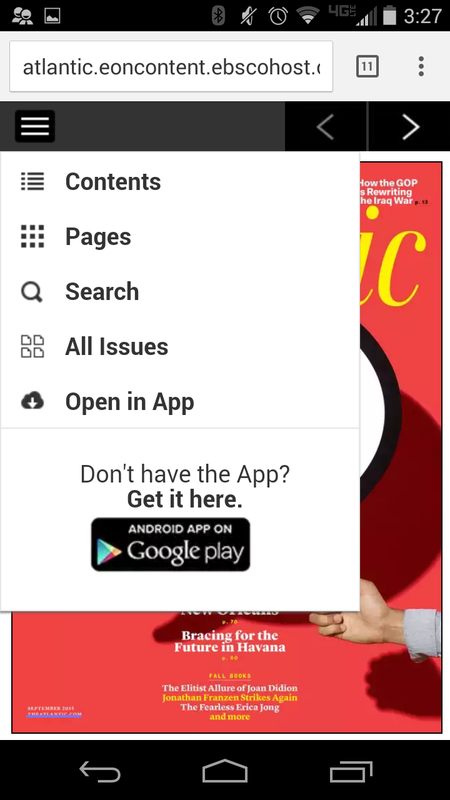 To read magazines on your mobile device, first download the free Flipster app through the Google Play store, Apple Store, or Amazon depending on your device. Then, use your mobile browser to navigate to the library's website and find the Flipster link under the All Databases link. You may be prompted to sign into the proxy at this point. Choose the magazine you would like to read by clicking on the cover. Open the title's menu by clicking on the three horizontal lines in the upper last corner of the screen. Choose the "Open in App" option. The title will download to your device. 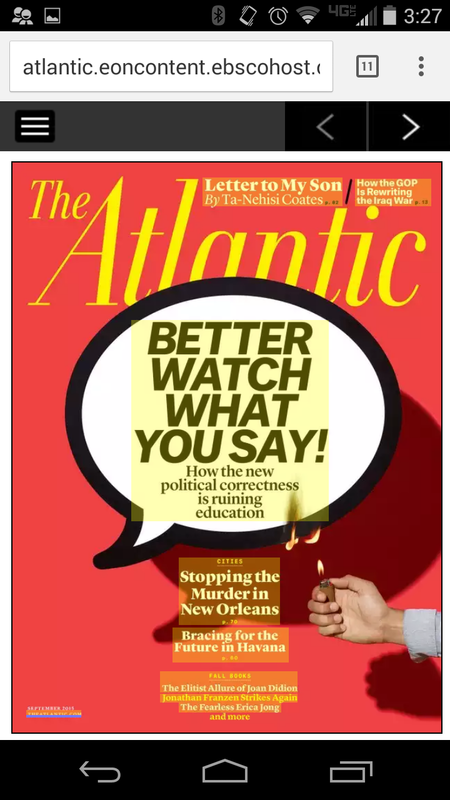 Click on the cover again to read. Now you're free to navigate the pages by swiping left or right. To get started, or to explore more of Flipster's features, explore the links below. Flipster Description of this database. Watch a short video demonstrating Flipster's features for a desktop reading. Watch a short video demonstrating Flipster's features for mobile reading.